Save 28% with this coupon. Enter code T49H9RUT at checkout. 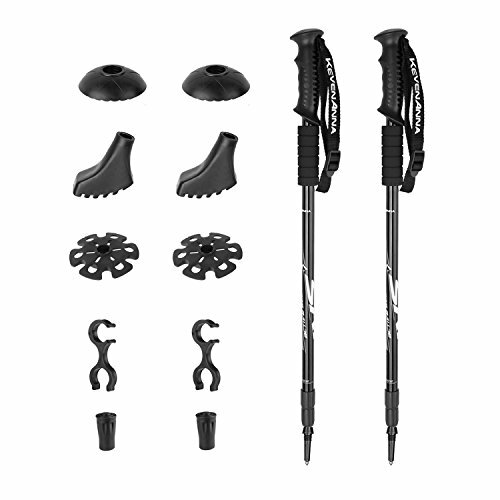 Better Support & Traction on Hikes: Enjoy your treks more! 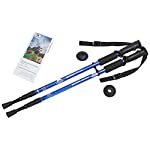 This pair of 25″ – 54″ trekking poles provides added safety & peace of mind while walking or hiking any terrain. 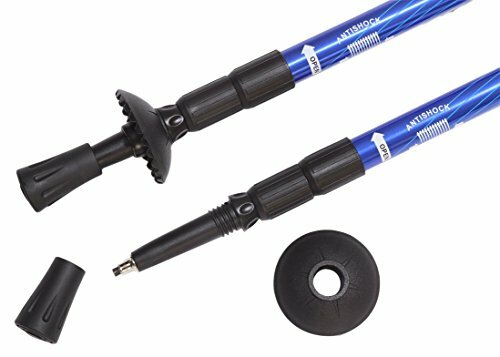 Anti-shock springs. 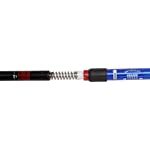 Adjustable for Your Comfort: 3-section telescoping stick features highly secure, top-of-the-line twist-lock system that’s also easy to use. 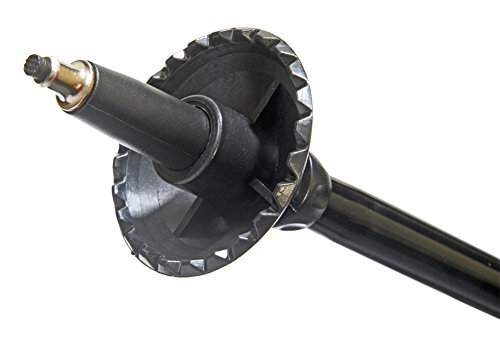 Adjusts for women, men & kids 4′ 10” – 6′ 5” tall. Won’t Weigh You Down: Made of lightweight, aircraft-grade aluminum that takes a beating yet won’t add bulk. 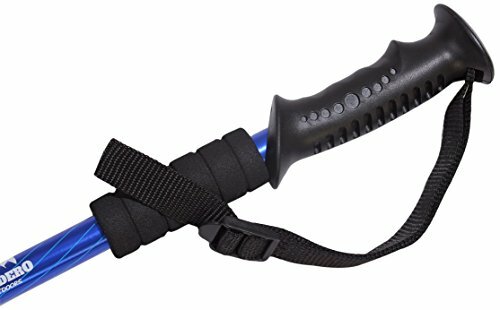 Also has plastic grips, EVA foam handles & adjustable, no-slip wrist strap. Wish to spend more time outdoors with your loved ones? 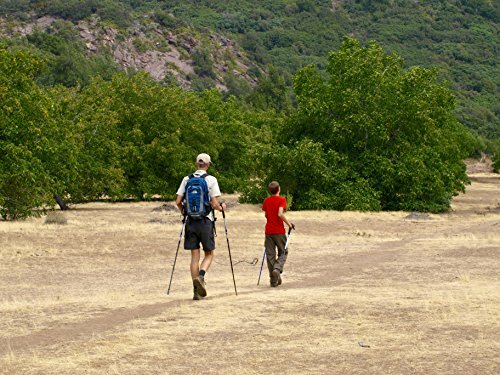 With Sendero Outdoors Collapsible Hiking Poles, you have the perfect reason to get out and GO! 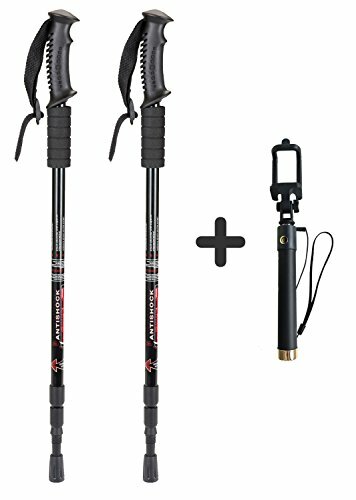 These poles give you greater security and stability on any terrain-whether you’re trekking through the woods, up a mountainside, on the beach, or around the neighborhood. 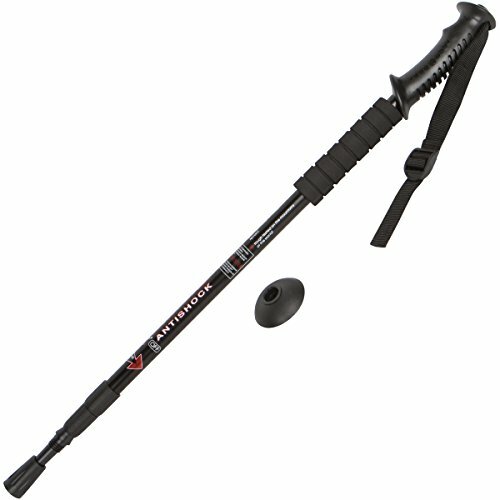 These 3-section telescopic walking sticks are designed with your comfort in mind, featuring ANTI-SHOCK SPRINGS, SOFT FOAM HANDLES & ADJUSTABLE WRIST STRAPS that help you keep your grip when the journey gets rough. What’s more, our premium twist-lock system permits you to EASILY ADJUST the poles to fit any height-so they’re perfect for every member of your family! When you are done the use of them, they collapse down into a compact size so you’ll easily carry them in a backpack. 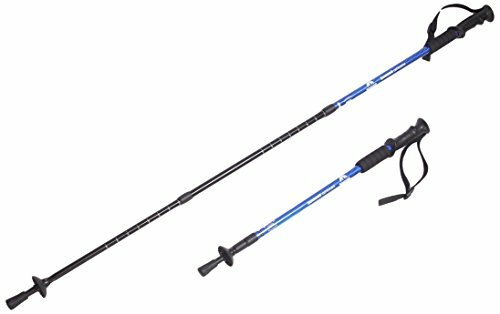 Not keen on heavy poles that bog you down? 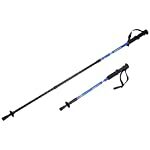 Our aluminum trekking poles are durable yet lightweight (just 12 oz. per pole!). 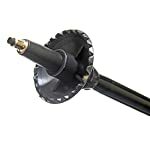 Each pair includes RUBBER TIPS for boardwalk and indoor hard surfaces, and STEEL TIPS for most surfaces including dirt, ice, rock, gravel or snow (snow baskets included). 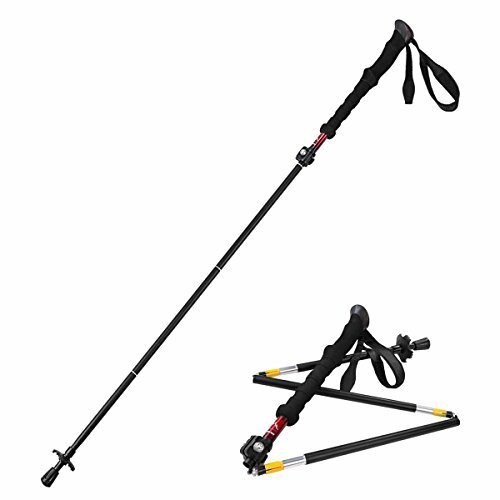 Customers are raving about Sendero Outdoors Collapsible Hiking Poles, calling them “lightweight and well-manufactured”…”better quality than we expected”… and “beautiful, sturdy, and very comfortable to use for hiking.” Why not experience them for yourself-CLICK ‘ADD TO CART’ TO BUY NOW! 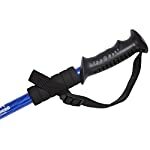 Better Improve & Traction on Hikes: Enjoy your treks more! 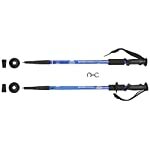 This pair of 25″ – 54″ trekking poles provides added safety & peace of mind even as walking or hiking any terrain. 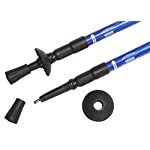 Anti-shock springs. 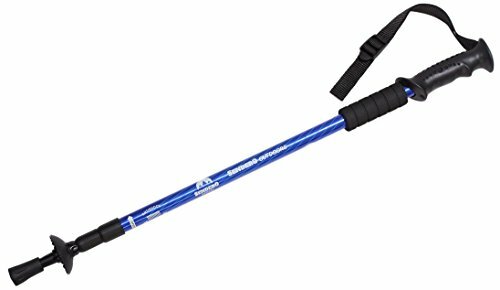 Adjustable for Your Comfort: 3-section telescoping stick features highly safe, among the best twist-lock system that’s also easy to use. Adjusts for women, men & kids 4′ 10” – 6′ 5” tall. 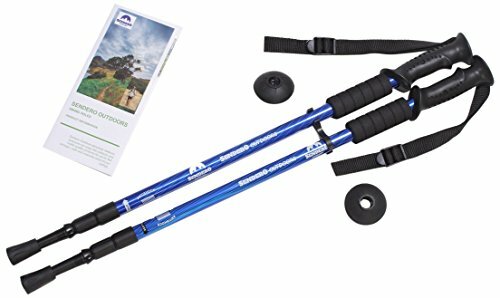 Navigate Any Terrain: Hiking poles include steel tips & baskets for most terrains, including dirt, rock, gravel, sand, snow or ice AND 2 rubber tips to keep you steady on indoor surfaces and boardwalks. 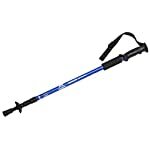 90-Day Money Back Guarantee: If you don’t seem to be completely satisfied with this set of hiking poles, let us know. We’ll return 100% of the purchase price-no questions asked.